It is rare to find a 36 watt power supply in a wall-mount format. This is a 12V 3A compact, high quality, switchmode regulated power supply with rock stable output, 36 watts continuous. It has a non-folding wall-mount prong and universal AC input (100VAC to 240VAC). Safety Compliance: UL, cUL, FCC, PSE JQA, LPS, double insulated ITE for indoor use. 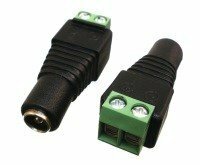 Input Connector: USA Style two-prong AC plug. Universal input switchmode power supply with fixed 12 volt output voltage. 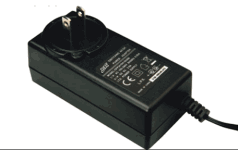 Fully regulated power supply is useful for devices requiring 12 volts and 3000 mA or less.